This is about 36 KM from Nagpur and is a good site for birdwatchers. 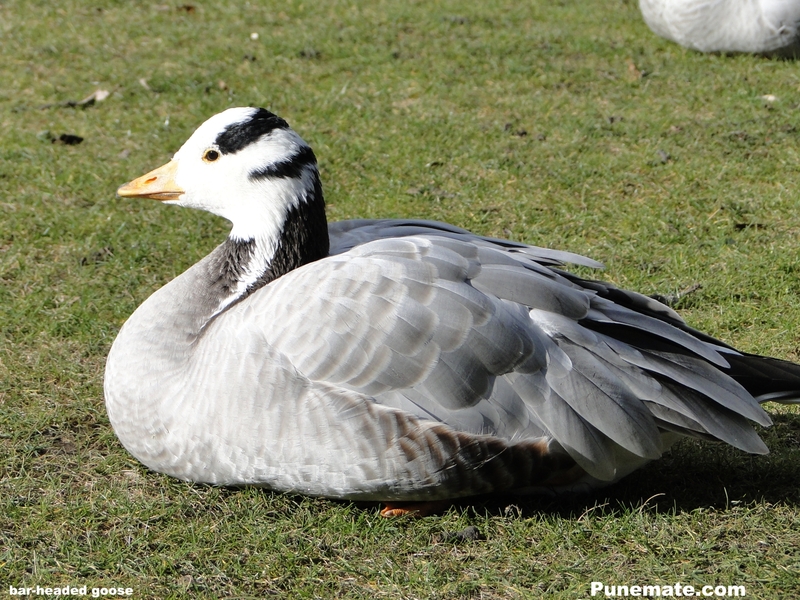 The Mongolian Bar-headed Goose spend the winter at Paradgaon and Saiki lakes on Umred road every year. Some other birds that can be seen at Paradgaon Lake Nagpur are as follows Asian Openbill, Asian Palm Swift, Bar-headed Goose, Black Stork, Black Ibis, Black-Winged Kite, for more please see the here. To reach Paradgaon lake you can take the following route via Armori – Nagpur Hwy/Chandrapur – Mul – Nagbhir – Nagpur Hwy/Kurkheda – Wadsa – Bramhapuri – Nagpur Hwy/Umred Rd See the link for Google Maps. Paradgaon Lake is close to Butibori Industrial Area. The Bar headed Goose flies from Mangolia and is among the highest flying birds flying at a height of 34,000 feet. Short-eared owl, a rare European bird, was also sighted in Paradgaon Lake near Nagpur. This Lake is about 32 Km from Nagpur and is very close to the Paradgaon Lake. Some photographs of birds taken near Nagpur, Umrer road, Saiki Lake. This lake is about 5 to 6 Km from Nagpur See directions here. Nag river of Nagpur originates from this lake. Some birds photographed near Ambezari Lake Nagpur Some of the birds sighted near Ambazari Lake Nagpur are as follows Indian Nightjar, Paradise flycatcher, Leafbird, Green pigeon, Oriental Honey Buzzard. Ambazari Lake – A Potential Stopover Point Of WinterMigrants In Central India Indian spotted eagle hovering over Wardha Road-Mansar bypass near Mahalgaon Kapsi. vulnerable on the IUCN Red List. This Lake is about 8 to 9 Km from NagpurFor directions see here. The Gorewada lake is a home for many birds like the Little Grebe, Purple Heron, Asian Openbill, Grey Heron, Cotton Pygmy Goose, Spotbill Buck, Eurasion Wigeon, Red Headed Duck, Northern Pintail Duck, Pheasant-tailed Jacana, Little Ringed Plover, Plum Headed Parakeet, Golden Oriole, Tickel’s Blue Flycatcher Some of the rare birds sighted near the Gorewada lake are as follows Ferruginous Pochards or White Eyed Pochards. The status of White-Eyed Pochards in International Union for Conservation of Nature (IUCN) Red List status is ‘Near Threatened’.” These were also sighted in Amravati in 2003 at Chhatri Talao and in Hatnoor in Jalgaon. This is about 4 to 6 Km from Nagpur. See the directions here. A number of birdwatching activities are arranged here. In one of the bird watching activities as many as 68 bird species were spotted in the daylong exercise.